Pretty Dull Title …Huh? But it is right to the point. Which is what this article is all about. 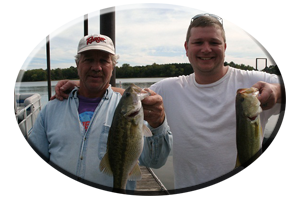 Including, there are many reasons why you should be taking a really “hard look” at your game plan for your next few, pre planned fishing trips to any lake in Alabama. As air temperatures and water temperatures both slowly begin to display a significant cooling down period, now taking place, during this fall season. Although the ideally, most welcomed term of,”fall” is officially recognized throughout all of the state on September 22, it is usually more evident around the first week of October. This is when the season of fall is really actually, “felt” as both cooler nights and much cooler days slowly approach. Cooler weather and the cooling down of all of our southern lakes, are always a welcome sight for all. This especially holds true for bass tournament anglers, most of which have been experiencing some degree of summertime’s brutal, mid-to-upper ninety degree heat, daytime air temperatures! Or with hopes of just making it an end-of-year championship (like the Bassmasters Classic or FLW Outdoors Forrest L. Wood Championship), by fishing every qualifying bass tournament along the way…no matter what the conditions!! 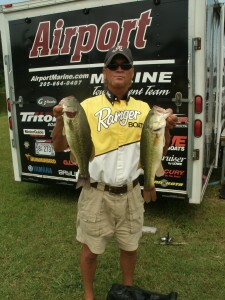 With some mid-to-late, summertime bass tournaments displaying brutal, air temperatures in the upper nineties! Or other wise, these often unbearable daytime summer “scorchers” can show some anglers that have the option of simply resorting to fishing at night. When the sun goes down, it’s much cooler, and there is always less traffic on the lake! Others (maybe for health reasons or just plain sanity), just quit their usual, “sweltering daytime fishing trip” which was always reluctantly cut short, as summer progressed. With the agonizing results of having to go home early, as the mercury quickly rose into the low-to-mid nineties. Driving these would-be anglers far away from their favorite lake and sadly, more towards the comfort of their auto and home air conditioning. While other would-be anglers simply just stayed at home. That is, until conditions improved for the better. Which is now! As usual, here in Alabama, determined daytime anglers saw the heat linger on, as those hot, and often very muggy, low-to-mid ninety degree air temperatures continued right on up into the last week of September! Some days nearing the 95 degree mark! 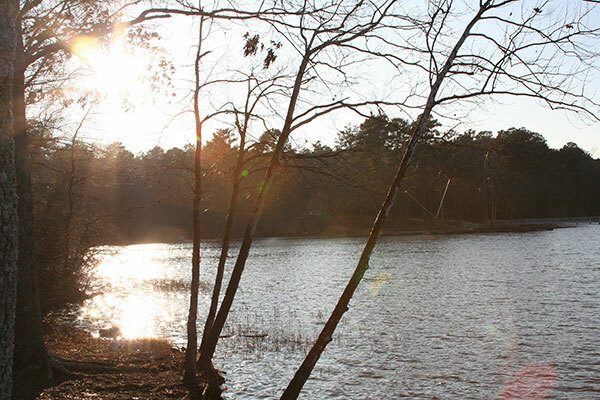 Because, before you know it, the cooling down season of fall will eventually come to an end and then, another season will take place throughout all of Alabama…one dreaded season, many anglers do not look forward to. Winter, will slowly make its unwelcome appearance, usually in full swing around the mid-to-later portion of December. In Alabama, that can often mean anglers of all types seeing air temperatures as cold as the mid-to-upper 20’s, and water temperatures can dip down into the low to mid forties! Or, during early winter the complete opposite can take place. Suddenly, these cold winter days can briefly be interrupted by a very welcome, “winter warming trend”. These warm days (and nights), are still a rare occurrence here in Alabama. But they can take place several times during each winter season, all throughout Alabama, often lasting for days. Winter warming trends can feature air temperatures in the 70’s (or warmer), thus creating warming water temperatures, often soaring as much as 5-10 degrees daily. This can suddenly trigger these “warm blooded bass” to instinctively, feed and fatten up daily, for the upcoming, cold winter months ahead. For a few days, maybe even a week or longer, or for as long as this rare, wintertime blessing calls for warm days and warm nights to continue, these bass will be foolishly, “letting down their normally raised guard” and constantly doing what they do best…eating! Then, throughout all of January and February it only gets worse (weather wise), meaning many anglers are forced to just park the boat, until the pre spawn season of early spring arrives, just in time, around early March…always curing a bad case of “cabin fever” for all! So plan your fishing trips now, or for any time within the next 2-3 months! Before another year quickly comes to an end, and the boat ramp could possibly be frozen over. 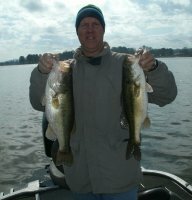 You have worked hard all year and you need (deserve), to make a few fishing trips to your favorite lake in Alabama, right now! 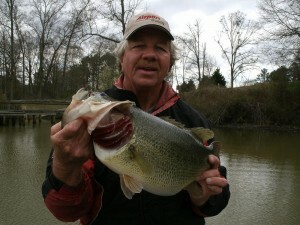 For after the New Year, you may have to suddenly wait several months, if not going fishing now! Meaning; whether (or not), you’re a very serious bass tournament angler (practicing or actually competing), or just a casual “lure chunker” (both types of bass anglers of which are always just wanting to catch some bass…but most of the time, “big bass” and lots of em’), either way, it may be time for you to consider a change! Why? Because, “fall bass fishing” is the time for a change, not only for you, but for all bass anglers, and most importantly, a time for a major change in the lives of the bass being pursued, as well! So, right here and now, you can consider these many suggested factors. For when you do make your next approach towards today’s often, “very highly pressured bass” on any given day, on any lake you choose, these fishing tips and techniques may come to mind. Like Arnold S. says, “Do it now” (and seriously), you will be glad you did! Develop, “a whole new way of thinking” as you approach the domain of today’s highly pressured bass, taking place now on most lakes in the fall season. Because if you don’t, it’s a for sure fact, the next angler (or your nearest competitor), will! You have got to; [not only hopefully plan on out thinking the competition and then beating over 100 anglers, on any given weekend in any major bass tournament] but to really hope to successfully win or just fool these bass into biting, you have always got to “out think” the bass your after as well! First of all when you finally arrive at your intended destination, make sure you have as many pre-rigged rods as possible. Already adorned with a selective choice of your favorite offerings. 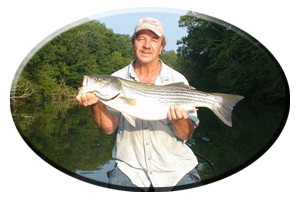 Now you are ready for an entire day of fishing, offering a wide range of choices for these often very picky bass that have seen a lot of lures. Ten to twelve rods rigged and ranging in lures used to fish from top to bottom of the water column. This will save you a tremendous amount of time (especially during the early morning hours), and more time to be invested in your fishing. So, instead of spending as much as the first half of your fishing day, changing lures, untangling a reel back lash and constantly rigging rods…you just select a fresh rod and keep on fishing! This technique includes the use of many various types of lures and utilizing various lengths of fishing rods and rod actions. Fishing reels of various ratios, already pre-rigged with new fishing line, that can be featuring many line types and line strengths. This can be quality, select monofilament line, fluorocarbon line and/or braided line of your choice. You’re going to need it! Including lots of “back up” fishing lures in case you lose some! 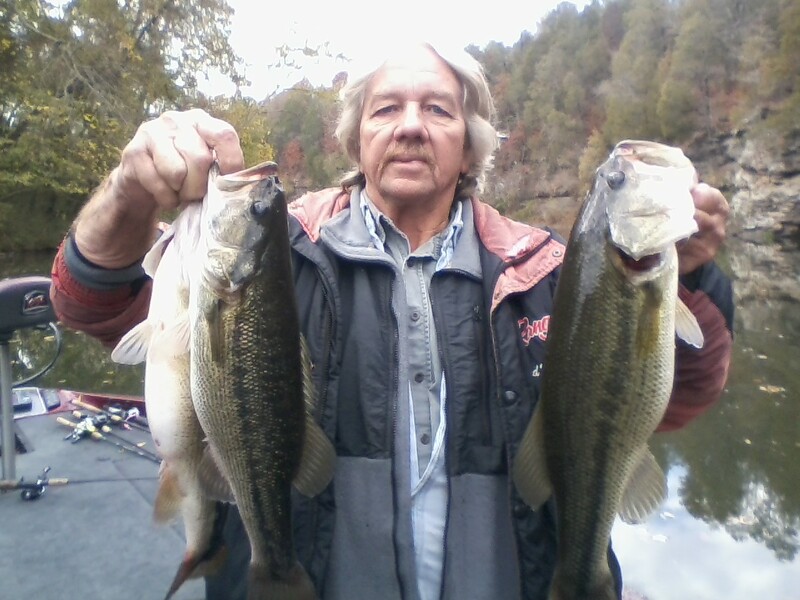 Fall – It’s always a very pre-conceived thought; that all bass go shallow during the fall season and its true, many schools of bass (and big loner bass as well), can be successfully found with some research. Simply by just combing your favorite creeks. But keep in mind, these same preconceived thoughts are being pondered many other astute bass anglers, most of which are now on the prowl in these lake backwaters as well! Very educated bass anglers, such as you, all looking for the same fall season bass. 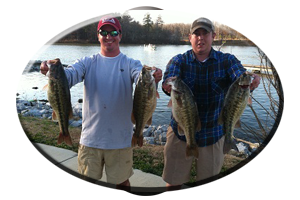 They can be found fishing weeds, wood cover, and rocks on any lake, lingering around aquatic weeds like milfoil, hydrilla, water hyacinths and other bass holding aquatic weed cover. Just like you, they are going after the very same bass! So. Are you fishing the creek mouths? Or have you (like many other anglers), just decided to just motor your bass boat further on up in the creek? Then, start fishing midway of these creeks and fishing them hard as well. You may be passing up a major, funneled down spot, that replenishes every hour often going unnoticed or even fished, by many other anglers! It only takes a few minutes to scour the entire creek mouth, with any of the many lures you rigged prior to your fishing trip! Top water lures such as walking type poppers, chuggers, prop-baits and buzz baits that can always entice a few anxious bass cruising these creek mouths in open water. Any of which can be holding along points leading into these creeks. 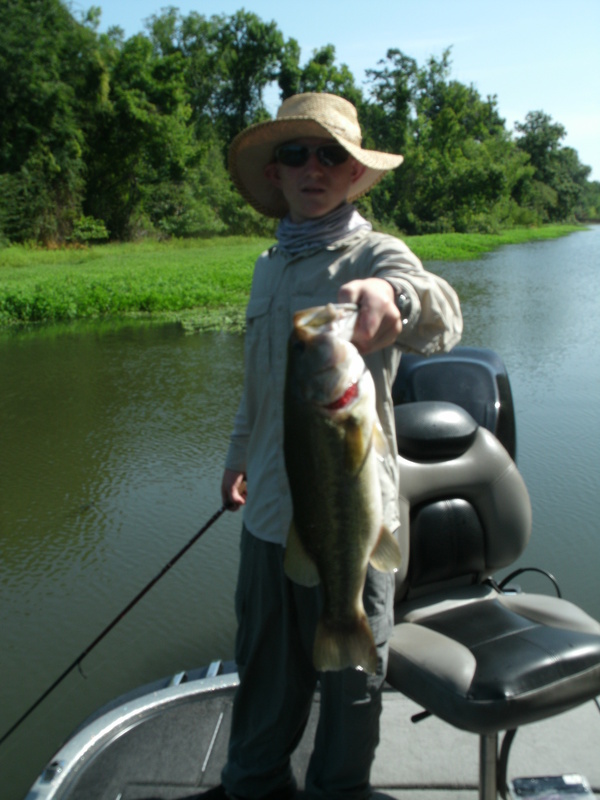 Including those bass holding along any bottom irregulars, scattered cover along flats and creek channel drop-offs and other cover that may be holding shallow bass found along stump rows, weed edges, rocks, logs, brush and lay down trees! This may call for the use of spinner baits or bladed baits, both of which are especially productive lures if you’re encountering stained to off-colored water clarity. 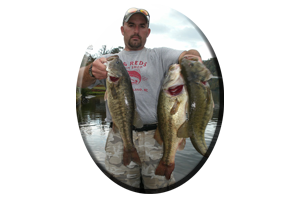 Or you may start out fishing far out in the lake, making longs cast to suspended bass holding along this cover with both shallow and deep diving crank baits. Including the use of other fast moving lures such as lipless lures, both floating model and suspending model jerk baits, soft bodied swim baits fished on a jig head and even the use of multi lure rigs (if allowed in your tournament), such as the Alabama rig. Like mentioned, it only takes a few minutes to thoroughly cover an entire creek mouth fishing with these and other lures from top to bottom. So, as a last resort, for any bass that are not in a lure chasing mood (holding close to, or on the lake’s bottom), you may want to really slow it down fishing a worm, jig combo, creature bait, lizard or crayfish imitation. 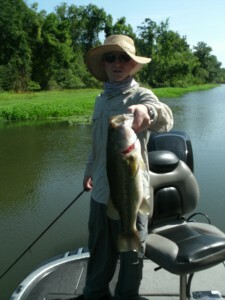 Or you may even vertical jig a shiny ¼ ounce jigging spoon, in water as shallow as 10-20 feet deep in these creek mouths. You may even try a drop shot rig, fished vertically, right under the boat. That is, if you’re preconceived ideas included a drop shot outfit…already rigged and ready? Choices? There are many, but only if you have thought it out, the day before when you rigged as many as a dozen rods with these lures and many, other lure choices! Still, you’re saving lots of very precious fishing time, if you do! Or like some adventurous bass anglers, you can always pursue these nomadic bass by traveling far back up in major feeder creeks or incoming rivers, or fishing along small cuts and pockets right on the main lake. Covering as many spots as possible in a day’s time! Huge schools of bass can often be found, still gorging themselves (like during the late summer season), while schooling on hapless baitfish. Often gathering in huge numbers in the same places they were in just a few weeks ago! Along main lake flats, in and around rock bluffs, all around islands, on any long, tapering point, around man made rip-rap rocks and boulder-strewn banks. Including, along any major creek flat as well. So where do you fish? Bass can actually be anywhere on the lake or far back up in these incoming feeder creeks and incoming river systems, during the entire cooling down of the fall season! Again, take notice of those places that many anglers simply just pass up, as they head their boats far up in these lake backwaters, cuts, pockets and feeder creeks. Like bridges for instance! Almost every creek on the lake has at least one bridge, some creeks feature several bridges, easily found on google.com or a map, or GPS, or discovered by running your boat up in these creeks and just observing these bridges, from the creek mouth to the far upper ends! This is where many anglers just run their boat on up under the bridge and they just keep on going! Or they may slow down and idle up under these bridges…still, these are places they should stopping for a few minutes and fishing! So many anglers pass up these fish holding spots. And if you sit nearby, you will take notice the same. Many anglers fail to even fish bridges! The pre-rigged rods you have on the front deck of your boat, like those adorned with deep diving crank baits, can quickly be used to cover this bridge crossing. Then fish other, much slower lures! 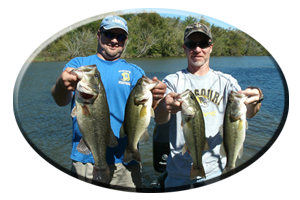 By casting crank baits around bridge pilings, laying trees and washed in logs and other wood cover, or using shallow running square-billed crank baits and lipless lures, fished along the shallow banks under these bridges you will discover unmolested bass! This may be where bass could be holding out of the current along weeds, wood or other types of rock cover (like man made rip-rap rocks), found in and around both bridges and culverts. So approach your favorite fishing hole on your favorite lake during this fall season, rigged and ready with a number of rod and reel combos. And a whole new frame of mind!